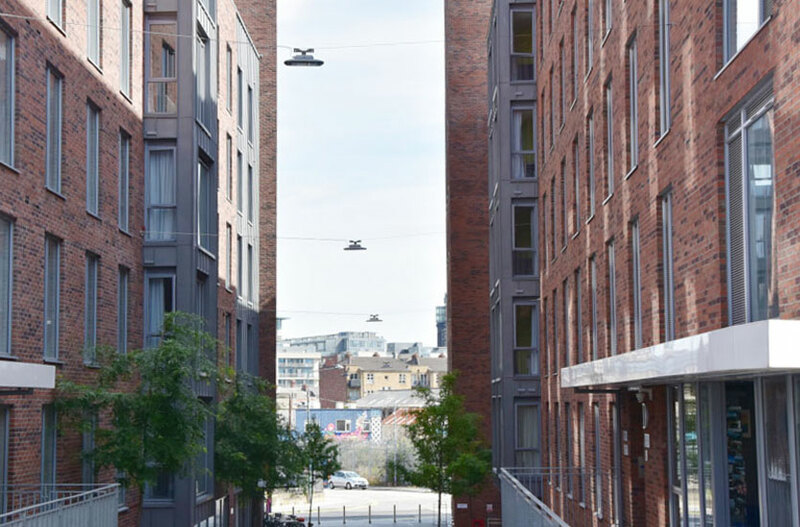 Catenary Wire Street Lighting has been installed at Bonham Street Dublin. These 100w LED suspended Street lights are suspended approx 10 M of the Ground using Catenary Wire. 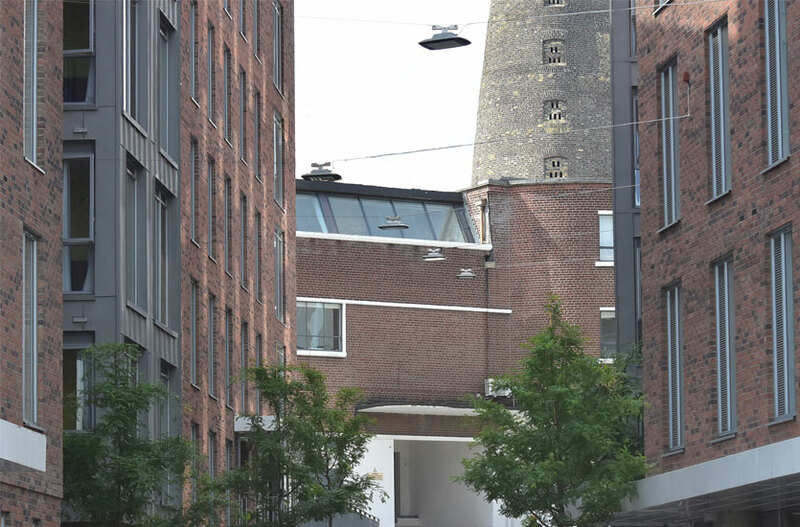 This method is very popular in Continental Europe but there are relatively few such installations in the UK or Ireland. 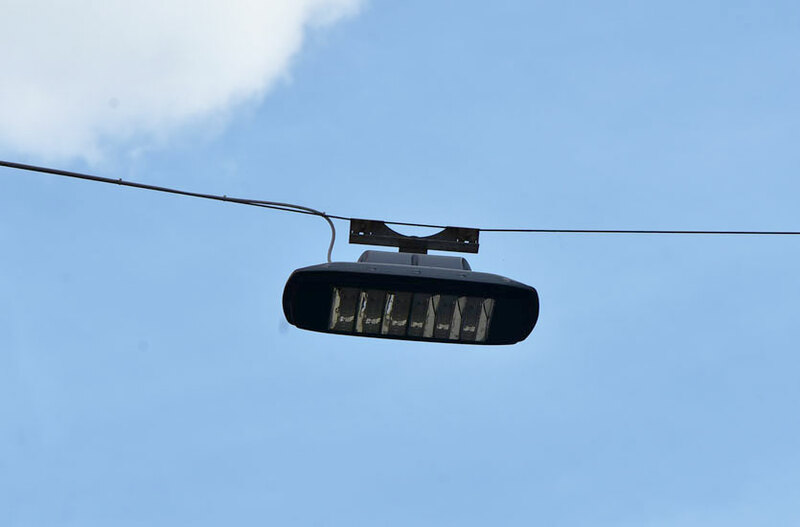 VeeLite offer a range of Catenary Street lights and a design service to ensure compliance with Local Authority recommendations.